Connor came home today with a very sad face. 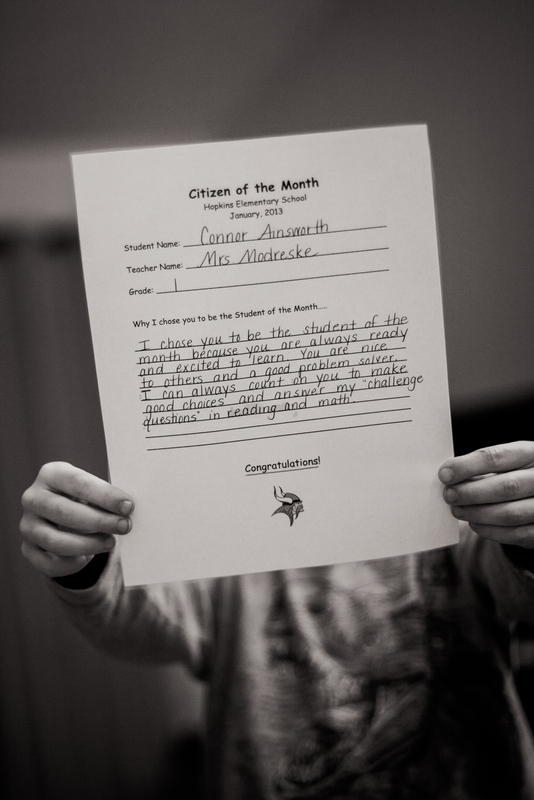 He announced, “Well, Mom, I didn’t get Student of the Month.” I’d remembered seeing some commentary on Facebook about teachers handing in nominations but otherwise, it wouldn’t have been on my radar. I mean, it isn’t that I think my kid isn’t worthy of such a designation; I just don’t think about it, to be honest. After he said that, his frown turned to a mile-wide beam and he said, “Yes I did!”. I grabbed him and said, “Oh my gosh, I’m so proud of you. How about you have some vitamins? !” We were in the bathroom. It was all I could think of. He kept squealing he was so proud of himself. I couldn’t help but smile, too. Oh, and yeah I thought to grab my camera. THESE. These are the moments! He also shared his cool Viking magnet and pencil he received in recognition of his accomplishment. The timing was awesome because I literally received some Instagram prints today that I wanted to share with him, too. He quickly put his dirty hands all over them thumbed through them to find a photo to go along with his magnet. Well, the one he said wasn’t perfect totally was. That’s my boy. Connor McAwesomeStudiousFacePants. I love you, kiddo. You make your parents very proud. 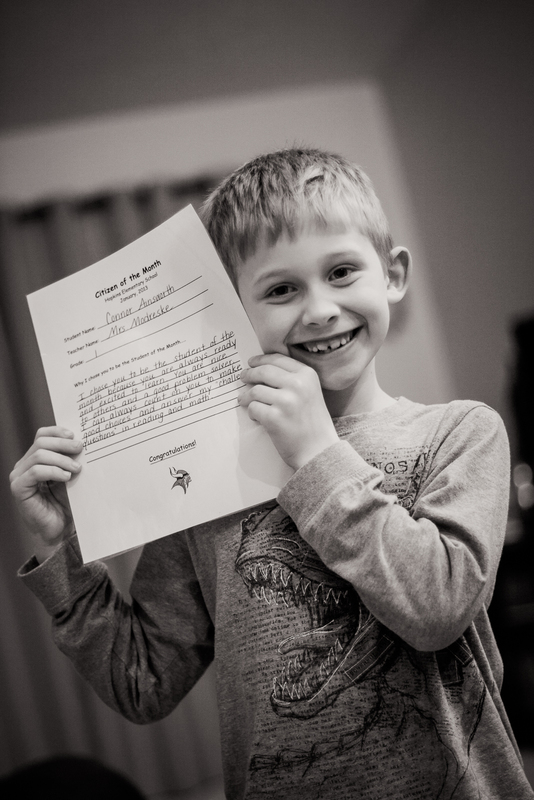 This entry was posted in expressions in light, the best part of me and tagged connor, memories, mom-isms, school, smartypants by staci. Bookmark the permalink. Great Auntie Kathleen is soooooooooo proud of CJ!!! he’s a good boy, isn’t he? Wow, those new teeth make Connor look totally grown up. they also make him appear as though he’ll need braces. 🙂 thanks, janelle!